Do you have a complex logo or full color artwork that you would like to see on a 15oz stainless steel vacuum water bottle?Click 4 Distributor Prices If so, you may want to consider custom water bottles with full color printing and take advantage of the full spectrum of colors available for your messaging! 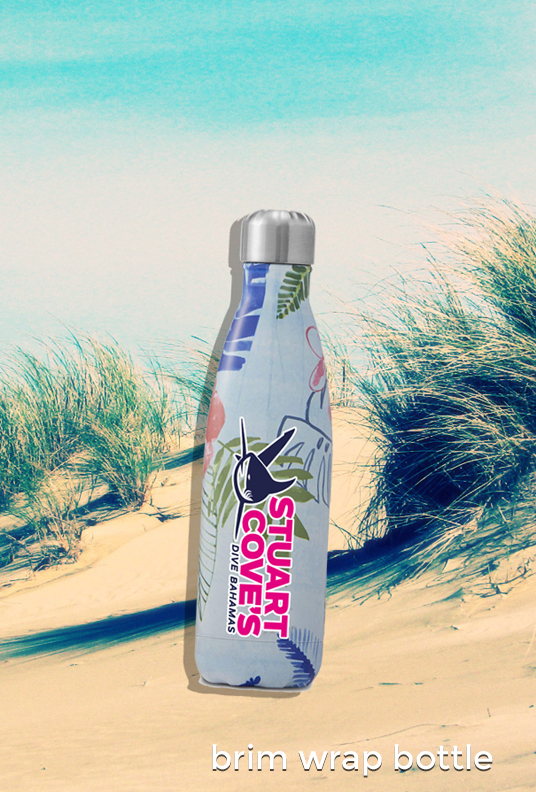 Our stainless steel Water Bottles are vacuum insulated. Our patented vacuum technology keeps beverages cold for up to 24 hours and hot for up to 12 hours. The Brim Wrap reusable water bottle is beautifully crafted and composed of nonleaching and non-toxic 18/8 stainless steel. It’s important to remember that over 60 million plastic water bottles are used every day in the U.S alone! One stainless steel Brim water bottle reduces this consumption for years to come. Send your logo and design ideas to your distributor and we will do a free virtual design. Expedited order delivery available. Min order is 100 bottles. 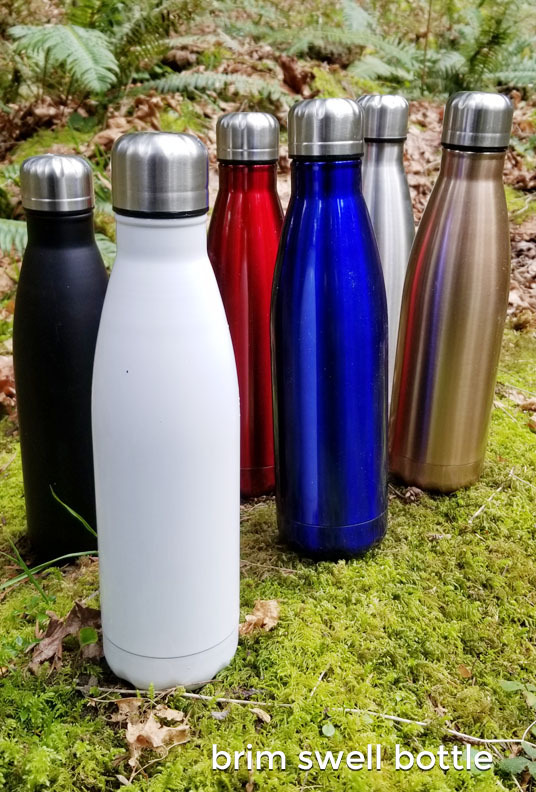 The Brim Wrap reusable water bottle is beautifully crafted and composed of nonleaching and non-toxic 18/8 stainless steel. It is durable to the core with no-stain interiors and tough exteriors. It’s important to remember that over 60 million plastic water bottles are used every day in the U.S alone! One stainless steel Brim water bottle reduces this consumption for years to come. Send your logo and design ideas to your distributor and we will do a free virtual design. Expedited order delivery available. Min order is 100 bottles. Thankfully, collapsible water bottles have recently grown in popularity. 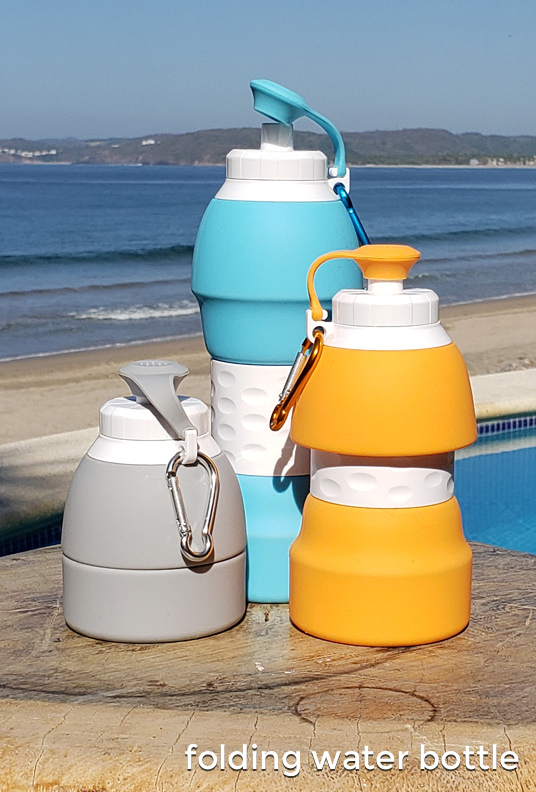 Our Shrink Drink folding water bottle is made with lightweight, flexible silicone that allows you to fold them down to become compact enough to fit easily into your bag (or even your pocket in some cases) and then expand again when it’s time to fill up. Comes in 5 great colors. Grey, orange, blue and lavender. Send your logo and design ideas to your distributor and we will do a free virtual design. Expedited order delivery available. Min order is 100 bottles. 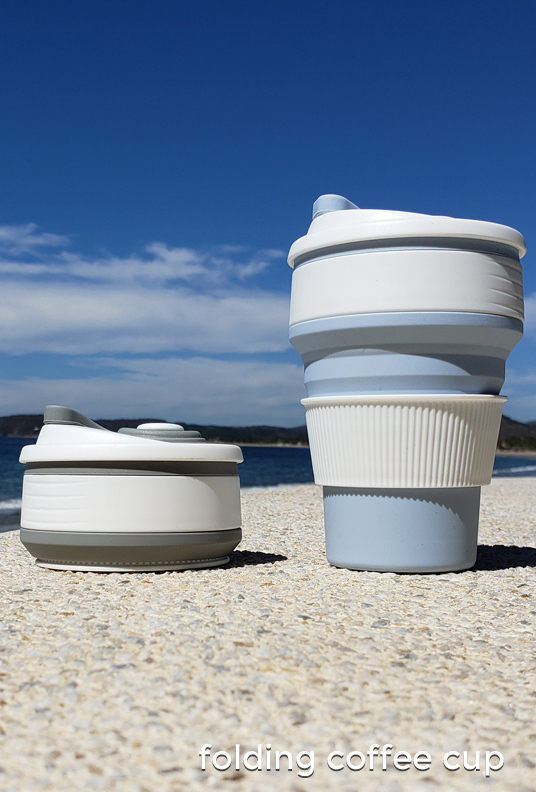 Sip Flip is an ultra-portable, sealed travel cup you keep with you - great for hot drinks (like coffee and tea) and cold ones. 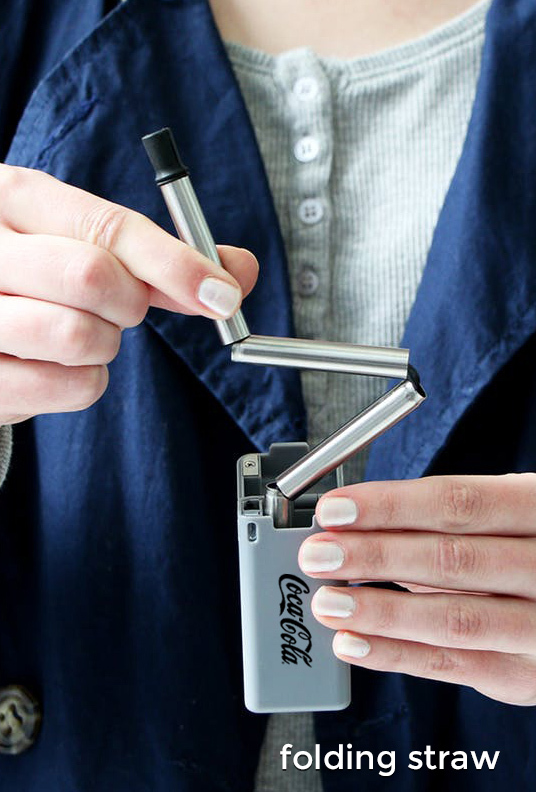 When you're not drinking, it collapses into a compact, liquid-tight disk, saving you space in your backpack, handbag, briefcase or jacket pocket. 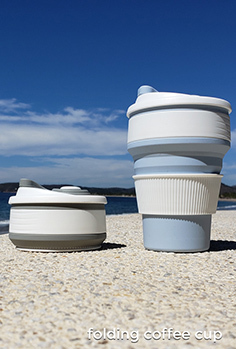 Since it's reusable, it eliminates the waste of disposable coffee cups - At work, coffee drinkers throw away about 500 cups EVERY YEAR. It's a no-brainer to choose a green product when it makes your life easier and saves you money. Comes in 4 great colors. Grey, black, orange and blue. Send your logo and design ideas to your distributor and we will do a free virtual design. Expedited order delivery available. Min order is 100 cups. 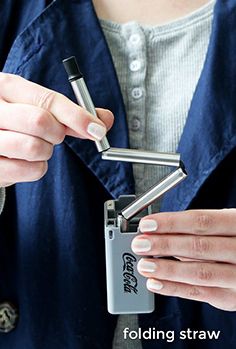 The collapsible Last Straw comes with a mini cleaning brush, allowing you to clean your folding Last Straw after use. The Last Straw is dishwasher safe or you can simply rinse out and use the squeegee to brush the inside. 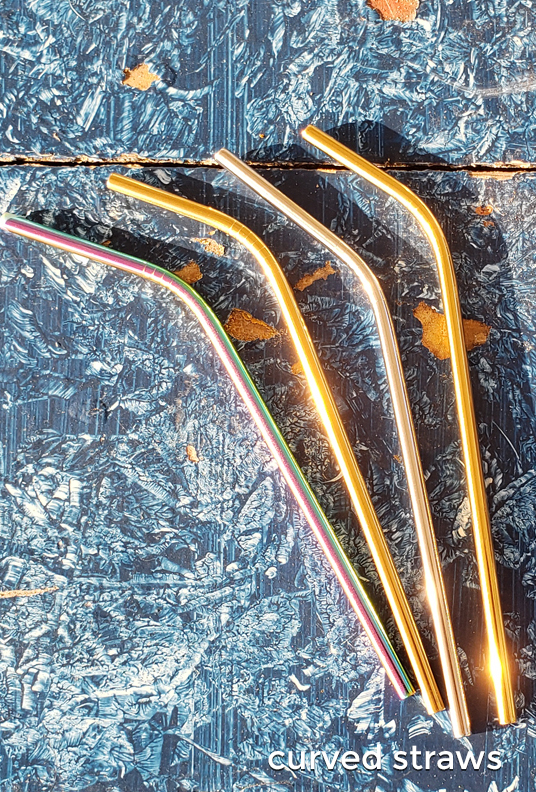 Drinking straws are being banned from Starbucks to McDonalds across the globe and you can now do your part in helping to save the planet. Comes in 5 great colors. Grey, black, orange, blue and blue. Send your logo and design ideas to your distributor and we will do a free virtual design. Expedited order delivery available. Min order is 100. 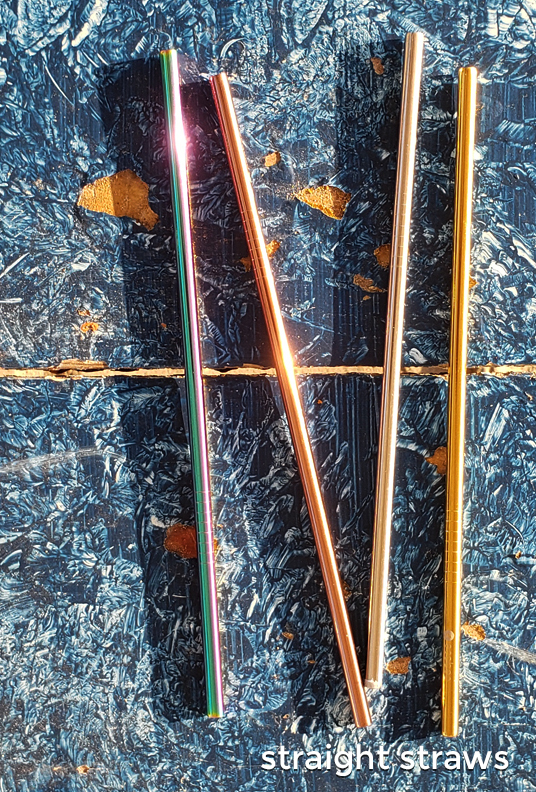 These food-grade stainless straws are easy to clean in the dishwasher. 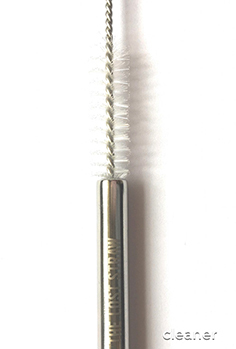 The straws are ¼ inch in diameter and 8.5 inches in length. Wider straws are also available upon request. 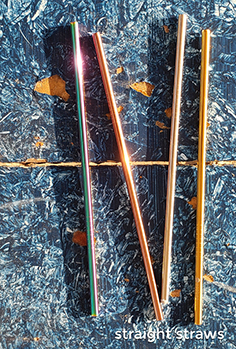 Our reusable stainless steel drinking straws allow you to help save the planet and are the elegant, eco-luxe, zero-waste answer to all those wasted single-use plastic. Comes in 4 great colors. Silver, gold, rainbow and blue. Logo is laser engraved. Send your logo and design ideas to your distributor and we will do a free virtual design. Expedited order delivery available. Min order is 250. 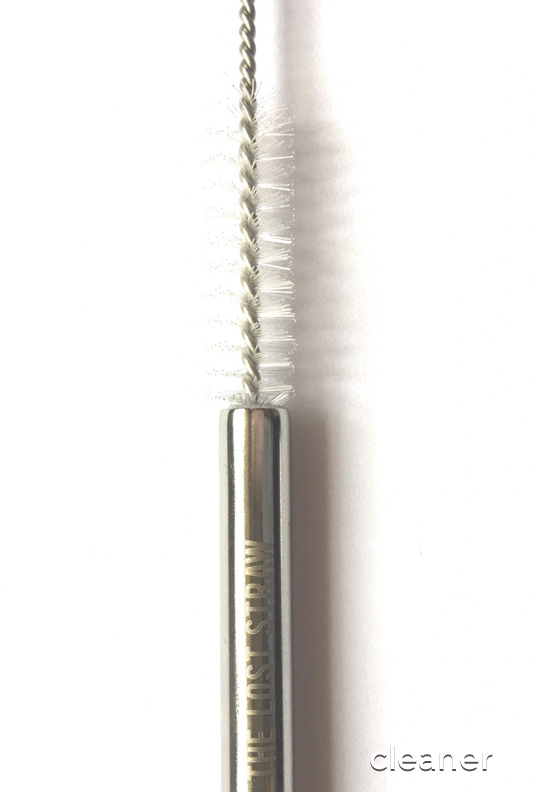 The linen bag is a perfect promotional companion for our curved or straight Stainless Steel Drinking Straws are reusable, eco-friendly and won't rust, corrode, stain or break. 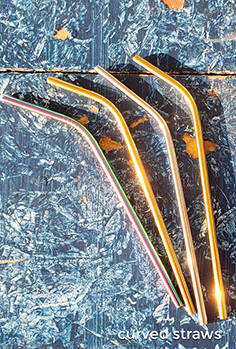 Our reusable stainless steel drinking straws allow you to help save the planet and are the elegant, eco-luxe, zero-waste answer to all those wasted single-use plastic. The Straw Bag comes in a great natural colors. 1 color screen print included Send your logo and design ideas to your distributor and we will do a free virtual design. Expedited order delivery available. Min order is 250 (bought with straws). 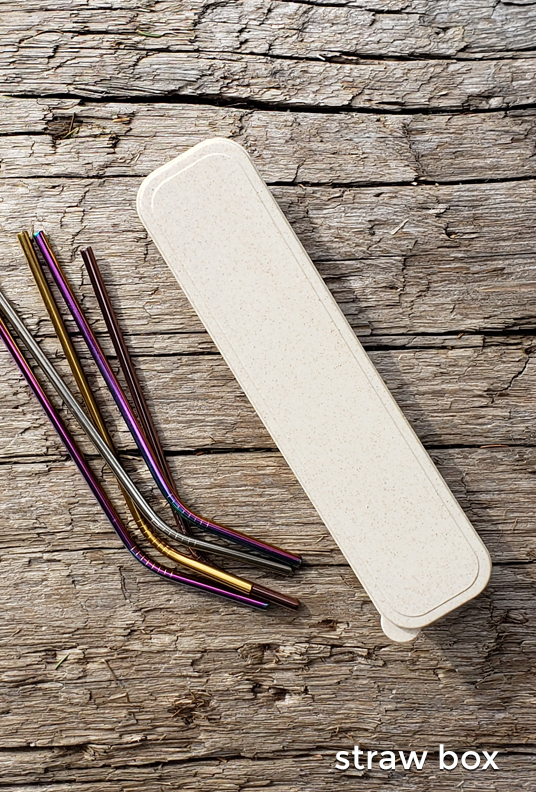 The Eco Straw Box is a perfect promotional companion for our curved or straight Stainless Steel Drinking Straws are reusable, eco-friendly and won't rust, corrode, stain or break. 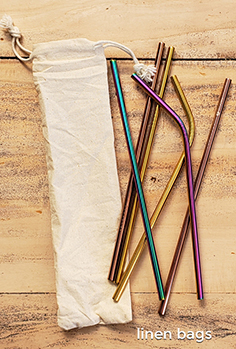 Our reusable stainless steel drinking straws allow you to help save the planet and are the elegant, eco-luxe, zero-waste answer to all those wasted single-use plastic. 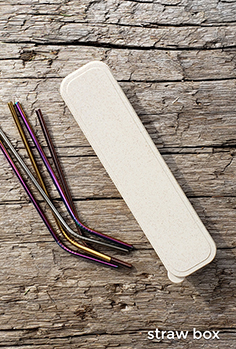 The E Straw Box comes in a great natural colors. 1 color screen print included Send your logo and design ideas to your distributor and we will do a free virtual design. Expedited order delivery available. Min order is 250 (bought with straws). Send your logo and design ideas to your distributor and we will do a free virtual design. Expedited order delivery available. Min order is 250 (bought with straws). "Promotional Products for the Adventurous...We Do Weird Well!"